The Wild West theme is one that has seen a lot of use in the world of online pokies, and its popularity shows no signs of wavering. The latest, from Blueprint Gaming, is a testament to this, and comes packed with a range of bonuses and features designed to keep players entertained for endless hours. 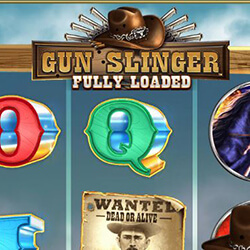 Gun Slinger is made up of 10 paylines that are set across 5 reels of a standard side. 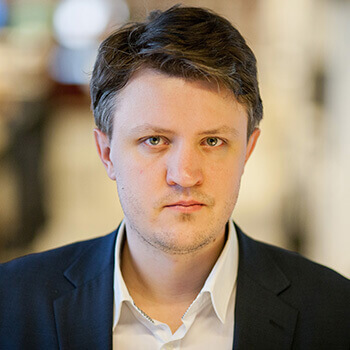 The RTP of the game stands at 96.50%, and can potentially pay up to 5000x the stake, and boasts a mixture of features, such as scatters, free spins, buy bonus options, and free games. Wilds in the game come in the fro of bounty hunters, and can be used as substitutions for all other symbols apart from scatters. The bounty hunters, which the player can use as wilds if they appear on their own, can also act like scatters if enough of them land. Three or more of these symbols on the reels will reward the player with 10 free spins. Once the free spins feature starts, a special symbol is selected at random. Enough of these on the reels will see them expand on those columns, and they can even cover entire reels. This is the road to the 5000x jackpot, where the player will need the highest-paying symbol to trigger the jackpot. This is a mechanic that has been used in other games, such Book of Ra, and over the years there have been countless clones.